Panchal Kenil Ketankumar from Bharuch, B.E. - B.Tech Graduate. 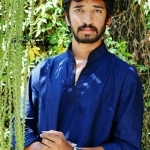 Panchal Kenil Ketankumar is IC Engg. and currently have no work experience. SELF DEPENDENT LEADERSHIP TEAM WORK ENTERPRENEURIAL ATTI..
are one of expert skill area's of Panchal Kenil Ketankumar . Panchal Kenil Ketankumar is working in Quality/Process Control industry.